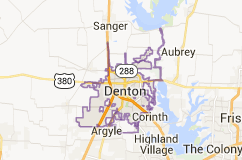 DFWCityhomes is an established flat fee MLS listing service and full service real estate company that represents buyers and sellers in Denton, Texas at a fraction of the cost. Our clients receive a full service experience with agent representation at all service levels and our simplified process is hassle free, proven, and effective. Interested in learning more? Click MLS Listing Services or Buyer Rebate Services to see how we may help you. Contact Us or Call (214)-207-0210 and we will explain to you how our services can save you time and money.